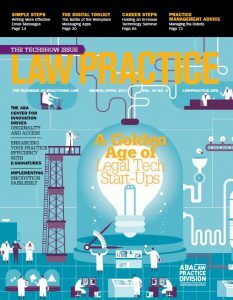 My marketing column, Diversity and Inclusion Is a Marketing Tool (and Necessity) in 2017, discusses just how valuable diversity in a law firm’s attorney pool can be to the bottom line. There was a time when simply saying you championed diversity efforts was enough. Later, simply showing diversity in numbers on a form or application passed muster. Now you need to go a step further and ensure that diverse attorneys are actually staffing the matter at hand. Competition for membership and exposure with organizations such as NAMWOLF, the MCCA, the National Bar Association, and various other “networks” can be fierce. The bottom line is that these organizations often provide a conduit for business between law firms and businesses needing legal services. Greater diversity in the legal profession is slowly growing. If you want to maximize your firm’s ability to compete for these opportunities, be sure diversity is not something you just talk about. You need to hire and retain diverse counsel. You need to align yourself with the right organizations—through membership, sponsorship and active participation. Make sure diversity is working for your law firm, and not against it.